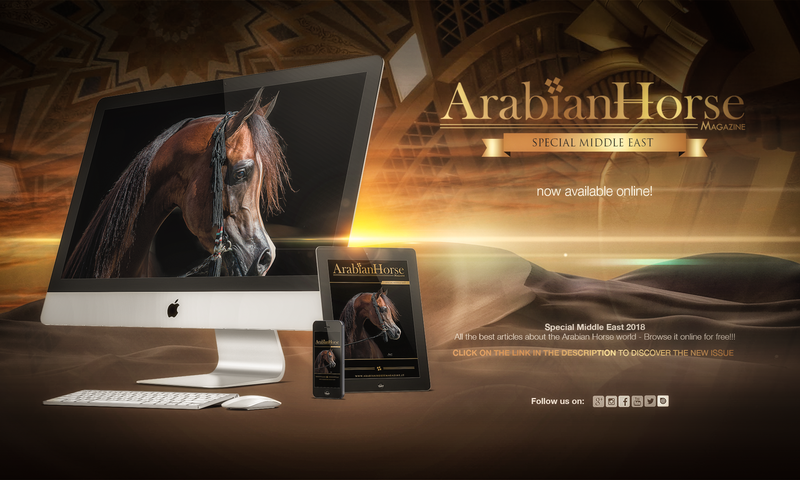 The 2018 special edition of Arabian Horse Magazine celebrates this year its third birthday. 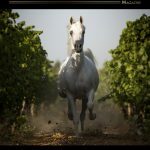 We feel to share with you this further achievement by introducing in this issue new desert stories, beautiful pictures, breaking news and results in the breeding industry with a special focus on the Middle East and Scottsdale in the U.S. 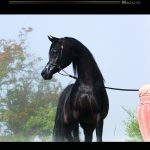 There is content focusing on training and breeding advances and innovations, a showcase of important Arabian horses gatherings, from the 2017 World Championships in Paris to Morocco at the Salon du Cheval of El Jadida to end up in the heart of the Emirates with a nice presentation of the Fujairah Show held outside the picturesque Fujairah Fort. 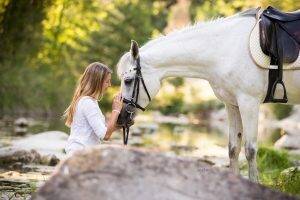 It includes several stories on the finest and most representative individuals of the Arabian breed whose across-the-board excellence is known worldwide. ES Harir, Donna Molta Bella SRA and Excalibur EA, jewels in the crown of Al Saqran Stud; Paul and Rita Gheysens ‘blue-eyed’ boy QR Marc, and WH Justice now standing at Knocke Arabians for the 2017 – 2018 breeding season. 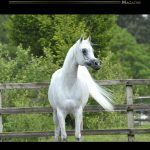 Then, the magnificent, exotic, chestnut Kanz Albidayer by Teheran Stud; the glorious Emerald J by Jadem Arabians and ES Labib, sire of Dubai Arabian Horse Stud to conclude with the hottest newcomer in the barns, D Seraj. These are horses that are doomed to become legends of the Arabian breed and their heirs. Upon us lie the responsibility and the moral engagement to protect them as their legacy is somewhat invaluable we should all equally treasure for future generations. We did not miss out the chance to interview breeder Mrs. Barbara Schwarz; judge Mr. Marc Veray, handler Jan Voris Sas since for us has become vital to give breeders, judges, handlers and enthusiasts the same opportunity to speak about their personal professional experience and daily commitments with the Arabian horse. Not to forget the special section thoroughly devoted to the Straight Egyptian line thanks to the expertise of Domenico Tocchi and some extremely beautiful pages and pictures of the ancient art of Falconry on horseback provided by our friend and collaborator William Richardot de Choisey. At the very start of the New Year, we want to wish again all our friends, breeders, judges, handler, trainers and loyal readers a very inspiring and productive year 2018 with many projects in the pipeline!